When: Bank Holiday Sunday 3rd May. Where: Dalston, Hackney. What: With 16 hours of music available in 15 different venues across East London you’re sure to make the most of your Bank Holiday Sunday with a Land Of Kings ticket. Earlybird tickets have sold out but if you’re quick you can get still get your hands on a wristband to give you access to sets from The 2 Bears and Tom Vek. Take it easy and participate in daytime activities and exclusive viewings of local short films at the Rio Cinema or revel in Bank Holiday freedom and party until 6am at the Oval Space. We recommend you go see uber-babes Juce for a bit of light relief from all the EDM. When: 14th – 16th May. Where: Brighton. What: A city-wide festival of 400 bands in over 30 venues, it’s The Great Escape’s 10th birthday and there’s nowhere better all summer to consume as many new bands as possible. Grime’s taking over this year with Skepta and JME taking on the Saturday headline slot at the Brighton Dome Concert Hall but if you aren’t imagining your weekend to include lots of elbows to the face then head to see Oscar our fave indie boy in the office right now. When: 21st – 25th May. Where: San Antonio Recreation Park, Calfornia. What: A slightly more chilled festival with a family vibe, man. Of course, it’s in California. With yoga workshops and ‘immersive spaces’ aplenty you can leave your horrible job in the city for one weekend and unleash your true inner hippy at the altar of the ‘Temple’ the main space of the festival where you can see music from the likes of SBTRKT and Alunageorge. When: 23rd – 24th May. Where: Eastville Park, Bristol. What: Pop princess Jessie Ware is headlining Saturday and acid spitting rap provocateur Azealia Banks is taking over Sunday, we’re not sure which we’re looking forward to the most. Having grown since 2012 from a one day festival into a weekender, the people behind Love Saves The Day must be doing some right. Bringing together the best of house and grime with a sprinkling of pop, it’s sure to be a day of dancing. When: 28th – 30th May. Where: Barcelona. What: If you’re not one for sleeping in fields, knee deep in mud, then you can do a hot summer city break and festival all in one with Primavera. Primavera Sound is for cool kids, the line-up is like a Hall of Fame. The Strokes and The Black Keys are bringing the guitars, Patti Smith is bringing the throwback and Caribou and James Blake are bringing the electronic beats. Sounds like a dream to us. When’s the next flight? When: 29th-31st May. Where: Berlin. What: This year Berlin Festival is celebrating it’s 10th birthday this year and the 2015 line up is billing some of the biggest and most influential international names to play in the city centre’s Arena Park. 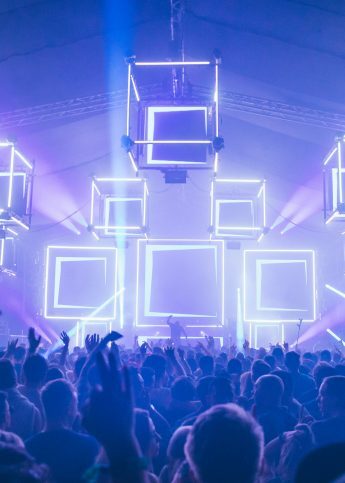 From the likes of Dixon, James Blake and Rudimental, to Tale of Us, Seth Troxler, Ten Walls and Richie Hawtin, this year is boasting what could well be Berlin’s best line up to date. Weather you’re planning a city break or a pit stop on your inter railing itinerary, Berlin Festival floods the city with club culture, pouring into the streets and parks. As always, preparation is essential – backpack/bumbag, deodorant, lunch box… this is an immersive 48 hour party, and you won’t want to leave. When: 30th – 31st May. Where: Upminster, London. What: Ok, so it’s not that exciting to get a tube all the way to Zone 6 for a festival, but what we are actually excited for is the VIP option. Feel a bit glam for one weekend, you deserve it. For £155 you can be a VIP for two days straight, you can fake it until you make it, if you act A-list everyone will believe you are. Your golden ticket gets you a massage area, hot tubs, private toilets, backstage area to hang with headliners and a champagne bar, delicious. Zone 6 suddenly seems a lot more sparkly. When: 5th – 7th June. Where: Randall’s Island Park, New York. What: Randall’s Island has been used for asylums and cemeteries in the past, totally idyllic. We’re pretty certain you’ll forget about that in seconds after you’ve stepped off the ferry and begin to rap in unison with Drake or pull out some wild moves to the sound of Björk. Take extra pocket money for delish food and cocktails from some of the best restaurants and bars in NYC like Momofuku and Brooklyn Soda Works. When: 5th – 6th June. Where: Athens, Greece. What: Moody and miserable bands like The Horrors and Perfume Genius are headlining Plisskën but we can guarantee you’ll still have fun. In the middle of the Greek summertime, you might thrive in or battle with the 30 degree heat but it’s got to be better than the driving rain, right? Make it down a day earlier for the pre-Plisskën party with Shellac. When: 5th – 7th June. Where: Umberslade Estate, Warwickshire. What: This is for the very alternative crowd, with headliners including Sun Ra Arkestra, The Bootleg Beatles and The Fall. Even the activities and late night events are weird. What we’re really looking forward to is the Magic Door tent. A club night that started in Birmingham where you swap your ticket for a “magic bean” upon arrival which you can then swap for a full glitter makeover and props. Perfect for covering those second day dark circles. When: 6th – 7th June. Where: Victoria Park, London. What: Nine years of continuous sell-outs and Field Day is still going strong. Tom Baker aka Mr. Eat Your Own Ears has triumphed again with yet another stellar line-up. Original features Caribou are now headlining Saturday (Ride are on the bill for Sunday) and Wonderland faves Pale and Ghost Culture are playing too. Essentially Field Day is when you actually get to see what all the fuss is about all the bands you’ve heard about in the music press over the last year. See you down the front for Kindness and Ratking. When: 6th – 7th June. Where: Heaton Park, Manchester. What: The people behind Warehouse Project bring you a city festival up North. It’s clear that the festival originates from the same people who run the mega club nights, with as many DJs featured on the line up as live acts. But make sure you don’t get lost in a dance tent all weekend, make sure go see Grace Jones for what should be one of the freakiest sets of your life. When: 11th – 14th June. Where: Anglesey, Wales. What: An electronic music and arts festival full to the brim of world class DJs and even more you haven’t heard of. Get lost in the woods at this boutique festival and discover all sorts hidden round corners. Small but mighty you can have four days of fun all for less than £135. Bargain. When: 11th – 14th June. Where: Isle of Wight. What: With Blur, Fleetwood Mac, The Black Lips. Pharrell Williams and The Prodigy headlining this year, it’s safe to say it’s going to be a good ‘un. Located on the Idle of Wight (duh), IOW festival provides Europe’s equivalent to Woodstock and, having been up and running since the summer of ’68, it’s safe to say the festival gods behind the extravaganza know a thing or two about throwing a stellar party. You’ll find us staying at Camp Kerala Mademoiselle, or up front getting down to Groove Armada. When: 18th – 20th June. Where: Barcelona, Spain. What: Over 20 years old, Sónar is, “the International Festival of Advanced Music and New Media Art”. Separated into Sónar by Day and Sónar by Night, you can expect to see headliners like The Chemical Brothers, Die Antwoord and Duran Duran playing past dark. Make sure you save time to go get a look at Totally Enormous Extinct Dinosaurs and his flamboyant headgear too. What is Sonar: the new video from Sónar on Vimeo. When: 24th – 28th June. Where: Worthy Farm, Glastonbury. 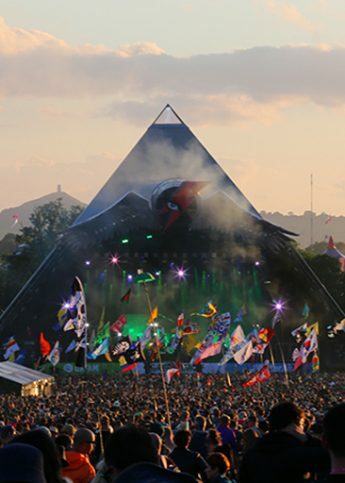 What: The Holy Grail of Festivals, it doesn’t get any better than Glastonbury and there’s good reason why its stages are so hallowed. Headliners over the years have included Dolly Parton, the Rolling Stones, Jay-Z and The Who. In 1970, the day after Jimi Hendrix died, Michael Eavis threw a festival on his farm for 1500 people, it cost you £1 to get in and you got free milk while you were there. Even though those in attendance were the original hippies, it’s a little more psychedelic these days. You can lose a whole afternoon lying by the fire at the Stone Circle and lose entire nights in Arcadia. Nothing in the world compares, honest. Get married at Glastonbury, become a Hare Krishna, learn a new talent, lose your inhibitions and potentially your mind at Shangri-La, just take full advantage with the knowledge that about 100 people were battling you online for your ticket. If you can befriend someone with a VIP ticket, do it, on the first night there’s a tiny stage with exclusive performances and free drinks and you can usually spot Michael Eavis wandering around in shorts, tweed and wellies. When: 28th June – 2nd July. Where: Zrce Beach, Croatia. What: The earliest full beach festival experience on the calendar, head to Hideout for the usual sun, sea and sand as well as boat parties, beach parties and pool parties. Everything’s a party. If Croatia sounds a million miles away, don’t fret, there’s three transfer airports within manageable distances and it’ll all be worth it to see that turquoise blue ocean instead of staring into a puddle.